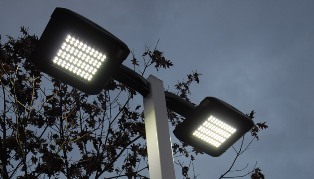 LED lighting is cost effective – extremely so – for businesses and municipalities. For years, lighting indoor commercial spaces was a no-brainer. 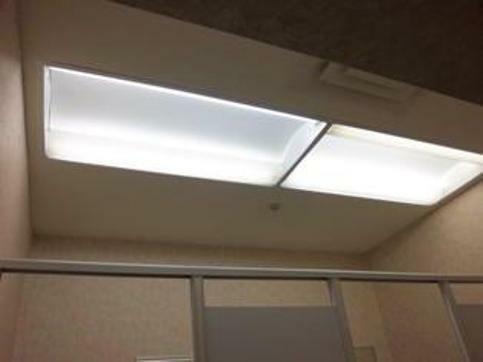 Most folks simply went with linear fluorescent lights (LFLs) — and for good reason. They have quality light output, are one of the most efficient light sources available, and have decent lifespans. This is especially true of the T8 lamps, which use about 40% less energy than the older, now phased-out T12 lamps. That being said, now there is a new player in the commercial lighting arena that promises even better efficiency: the linear LED replacement (T8 LED). 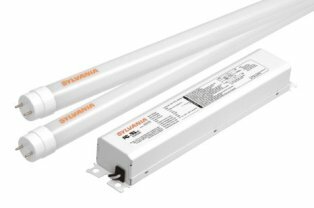 All fluorescent tubes need ballasts to operate, but not all LEDs do. Fluorescent lights require a high voltage burst to get started and then something to regulate the power that comes to the tube — the ballast takes care of all of this. On the other hand, LEDs use a driver which comes in a variety of sizes making several options available. Fundamental advances in LED semiconductor technology, optics, and lighting system design now enable LED lights to break century old cost and performance barriers that have prevented consumers from realizing the savings businesses and municipalities already enjoy. While a typical incandescent bulb uses 60 watts of power to generate light, the current state of LED technology can produce the same light for less than 10 watts. A better, more efficient product means less expensive light. To a consumer, this means saving money – significant amounts of money. Turn to H.R. Benjamin for the expertise to design and install LED lighting in your facility. Outdoor lighting can present offices or homes with the perfect highlight to accentuate the positive features of any design whether landscaping or the building. H.R. Benjamin specializes in installing, repairing and upgrading outdoor fixtures. Our outdoor lighting team has the knowledge and experience to design a system tailored to your specific situation. We can provide a lighting analysis and help you determine what type of lighting your business needs, whether that means a few lights or a complete outdoor lighting system. H.R. Benjamin provides industrial lighting solutions from design to installation as well as emergency maintenance and repair. Our electrical engineers develop cost-effective and innovative solutions for government, business or industrial facility lighting, dimming, and high/low voltage lighting applications. H.R. Benjamin can retrofit your company's facade lighting systems to help better promote energy savings. If your business is using older light fixtures and lighting technology, you could be wasting valuable energy - and money. The goal of conserving energy is achieved by reducing energy needs and by using the energy more efficiently. Our energy saving lighting experts will ensure that your interior lighting system is energy efficient and follows current electrical code standards. Call 215.535.5200 for a consultation.